BUILDING understanding about what the new vegetation management laws mean for managing landscapes in Queensland’s brigalow belt will be the topic for the first of two upcoming producer webinars. 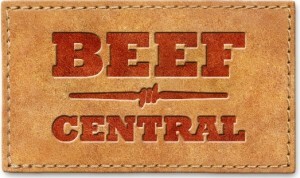 The first hour-long webinar, being held from 12.30pm on Thursday October 4, is part of a series of webinars presented through Beef Connect, a collaboration between Future Beef and Beef Central. FutureBeef is a collaborative project for the northern Australian beef industry involving partners, Queensland’s Department of Agriculture and Fisheries; NT’s Department of Primary Industry and Resources; and WA’s Department of Primary Industries and Regional Development. Guest speaker for the veg management webinar will be Emma Secull, Queensland DNRM Natural Resource management officer based in Charleville. Emma will focuses on how the new legislation impacts on vegetation management, especially within the brigalow belt area of Queensland. The webinar is in response to requests from producers in the brigalow belt, following a similar earlier BeefConnect webinar for the mulga region. The webinar is being delivered in collaboration with DNRM, FutureBeef and Leading Sheep. Click here to register to join the veg management webinar. After registering, you will receive a confirmation email containing information about joining the webinar. The following week, a second upcoming Beef Connect webinar will focus on getting the most out of the recently-upgraded Long Paddock website, used to help in managing grazing lands. The Queensland Government’s Long Paddock site has been recently re-developed to provide livestock producers with free and easy access to a suite of on-line decision support tools covering seasonal climate and pasture growth information. Everything has been designed for those involved in Queensland (and Australian) agriculture and rangelands to support decision-making in grazing land management including livestock managers, extension practitioners, consultants, researchers and education providers. what’s on its way to the Long Paddock website. The webinar will be held on Tuesday 9 October from 12:30pm. This is the first in a series of four webinars focusing in on ‘Getting the inside edge in grazing land management’ series. Click here to register to join the Long Paddock webinar. After registering, you will receive a confirmation email containing information about joining the webinar.